Kick of the year with great food and wine! 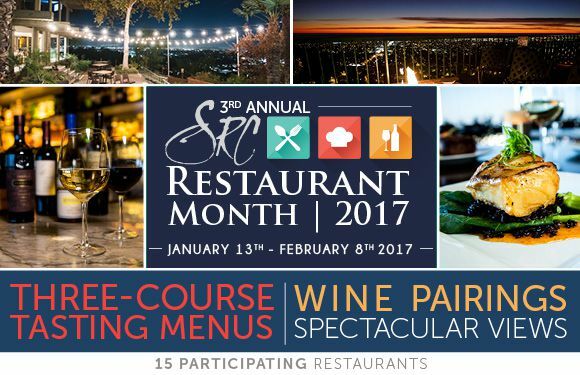 Join us for our 3rd annual SRC Restaurant Month, starting January 13th through February 8th! Enjoy Three-Course Prix Fixe Menus, Wine Pairings and Spectacular Views at 15 of our Specialty Restaurants.